I'm ending 2017 on a high point. 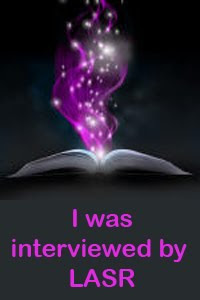 I finally summoned the courage and asked Sylvain Reynard if he would consent to an interview, and to my delight, he did! 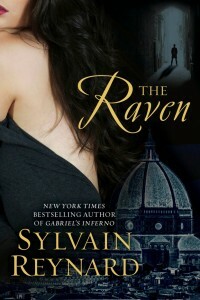 For those who don’t know, my introduction to the world of Twilight fanfiction came from Sylvain Reynard. 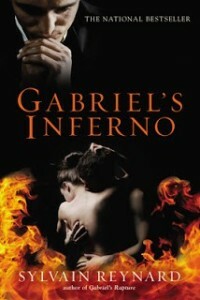 I picked up Gabriel’s Inferno in a bookstore, intrigued by the Dante aspects of the story. After I read it, I went to Amazon to leave a review, and saw that someone else wrote that it was Twilight fanfiction at one time. I was vaguely aware of fanfiction as a concept, but I had no idea that it could be smart and cultured, building something entirely new from the source material. I started poking around in the Twi fic world, and eventually decided to give it a try myself, figuring I could quickly delete everything and disappear into the ether if people were cruel. (This is the internet, after all!) I was kind of stunned and overwhelmed by the response I got. After I published my first novel, I wrote a little note of thanks to Sylvain and was touched that he was kind enough to respond. Lissa: What were your expectations, if any, when you started writing, and how did you think readers would respond to a story Edward as a Dante expert? S.R. : Hello Lissa. Thank you for inviting me to join you and your readers. When I started writing, I had the idea of introducing the story of Dante and Beatrice to a wider audience. The story isn’t widely known anymore outside of Italy. But to tell the story to a contemporary audience presented a challenge. So I reimagined Dante as a professor of Italian Studies who specialized in Dante. And I was surprised but very pleased when readers embraced him. Lissa: I’ve always said the fic world one of the best environments for a “baby writer” because of the warm, supportive, and encouraging environment my readers gave me. Was it the same way for you? S.R. :It helped me overcome my shyness. I’m sure readers who’ve interacted with me over the years will likely laugh at this remark because they know that I am still shy. But without the blanket of anonymity, I wouldn’t have put my fiction writing out in front of the public. Lissa: Fanfiction still struggles to be recognized as a transformative, transgressive medium. It’s accused – mostly by those who’ve never plumbed its depths – of lacking creativity or lazily building off others’ work. Do you feel that perception is changing given the number of authors who’ve been “discovered” in the fic world? Will we eventually come to a point where fandom is an accepted aspect of the writing community? S.R. :Like any human community or institution, there is factional conflict, political intrigues, etc. in communities of fans and it has always been like that. The purpose of fan groups is to show support and enthusiasm for something – a comic book, a story, a film, etc. Truthfully, I think both readers and editors were looking for something new and fresh to read and so they began looking at the fandoms. It was a smart move on their part – because they found creativity that hadn’t been pre-packaged and moulded. Lissa: Since I was a child, I’ve “written” stories in my head, including re-writing books and movies I liked to have better endings or send the characters on new adventures. I’ve often said it’s like the people come to me, full-fleshed, and say, “Hello, my name is So-and-So, and this is my story.” In a way, it’s like I’m watching it play out in my head, and sometimes I feel like I have little input into how things play out. How does your writing process work? Do you create the characters or the storyline first? Do you actually plot it out (some strange creatures are said to use outlines! 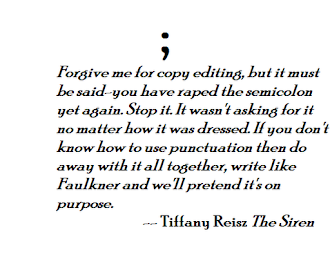 ), or do write it as it comes to you? Lissa: I read another of your interviews where described how you use language to try to paint a scene, like an artist painting a canvas – almost a visual experience. Is that an accurate summation? For me it’s about sound. I point to Emily Bronte as my greatest writing influence. She was a poet before she was a novelist, and she understood the power of the sound of words when constructing a scene. (As an example, in Wuthering Heights, she used harsh-sounding names for her wild characters: “Catherine” and “Heathcliff,” and soft, lilting names for her gentle characters, like Isabella and Linton.) That’s one of the things I try to keep in mind as I’m writing fiction: the flow and rhythm of words and how it helps weave the scene. Is there a writer in particular who had an influence on your writing style? S.R. : I write by sound too. I can’t listen to music or have too much background noise when I write because it interferes with my ability to hear the words. But it is like an oil painting, too, because I write a scene and then go back and add to it over time, in layers. 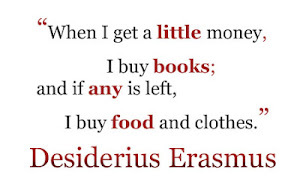 I admire 19th century European writers but I don’t really write like them. Lissa: The last five years have been incredible in the writing world. Small publishers and self-publishing changed the landscape, and it was in no small part due to Fifty Shades of Grey. Fifty’s original publisher was the one which picked me up. Now, it seems we’re going through another shift, with the closure of quite a few of those small publishers, including mine. Where do you think the industry is going? If you had to give advice to a new author today, what would you tell them to do? S.R. : I think the industry will continue to expand and contract and editors and readers will continue to look for new and fresh voices. But the medium of publishing is changing. Writers can self-publish easily or they can publish on a website such as Wattpad. It’s probably easily to put one’s work out for viewing now than ever before, but it’s also more difficult to garner an audience because there are so many authors vying for readers. For new authors, I suggest writing every day. And I also suggest finding someone you trust who will give you constructive criticism. Everyone needs an editor. Lissa: Lastly, what question have you always wanted to be asked in an interview, but no one ever has? I’ve always wanted to be asked my favorite dinosaur, but for some reason, no one ever does. It’s a pterosaur, by the way. 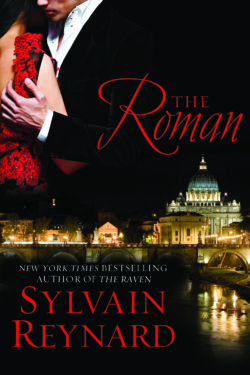 I'm so grateful to Sylvain for granting me this interview, and for being an inspiration. SR encantador, su forma tan cortés siempre de manejar las entrevistas carismático y dispuesto. Todo un gentleman. Wow! 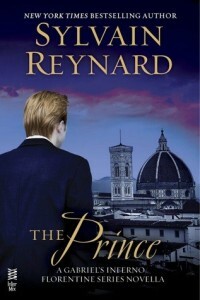 How gracious was Mr.Reynard,to grant us his wisdom, comprehension, and scope on writing. He was Very fort-coming, candidly honest and direct. Lissa, You we’re amazing as well may all you’ve writing endeavors be fruitful!! !